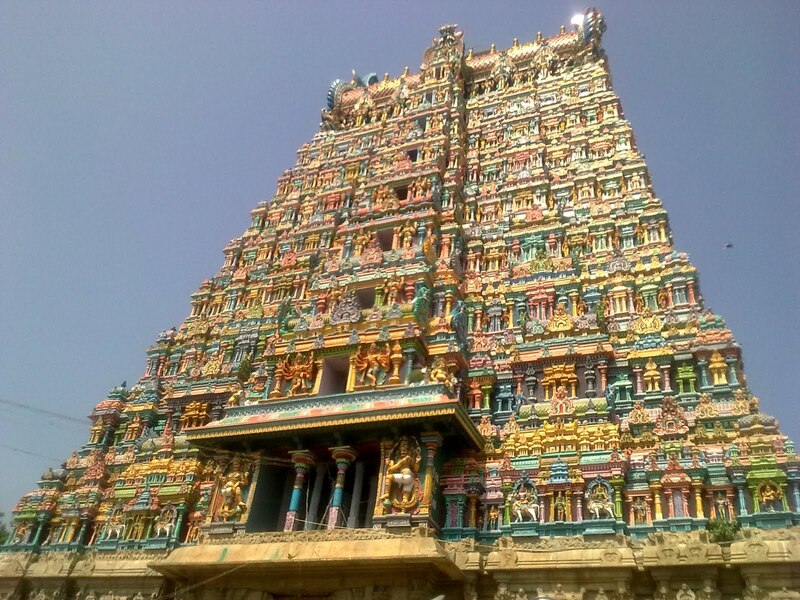 The Temple is a significant symbol for the Tamil people, and has been mentioned since antiquity in Tamil literature. Meenakshi was born out of holy fire as an answer to the prayers of King Malayadwaja and his wife Kanchanamalai. She married Lord Shiva and both ruled the city of Madurai as Lord Sundareshwar and Goddess Meenakshi. 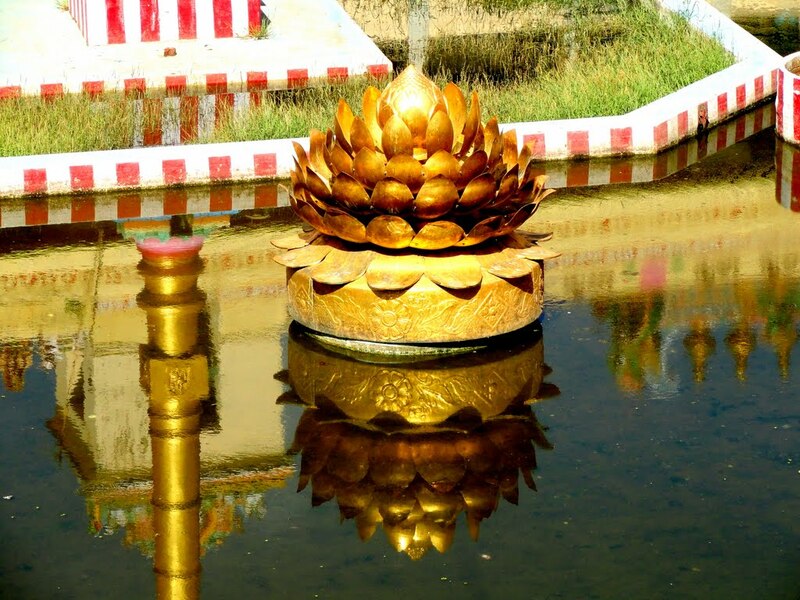 It is also believed that Lord Indra founded the temple when he found a suyambu lingam. It is said that Lord Vishnu, Meenakshi's brother travelled all the way from Srivaikuntam- his abode to witness the marriage. The many mandapams or pavilions are one of the many attractions of this temple. Prominent among them are the Aaiyiram Kaal Mandapam, Ashtashakti Mandapam, Meenakshi Nayakan Mandapam, Killi Kootu Mandapam, etc. Each of these mandapams has a history of their own. 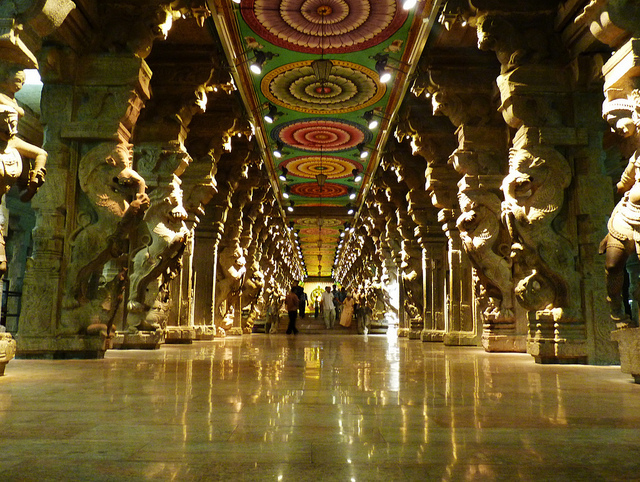 "Meenakshi Temple" is the most exquisite example of the Dravidian architecture. 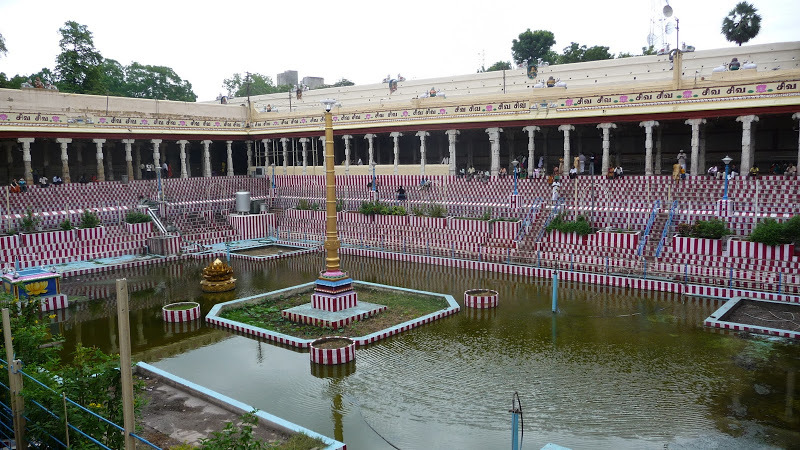 It is a master piece and was the center of activity for the promotion of art and culture in Madurai. It is the main attraction of the city and pilgrims come to the place in the search of spirituality and peace. 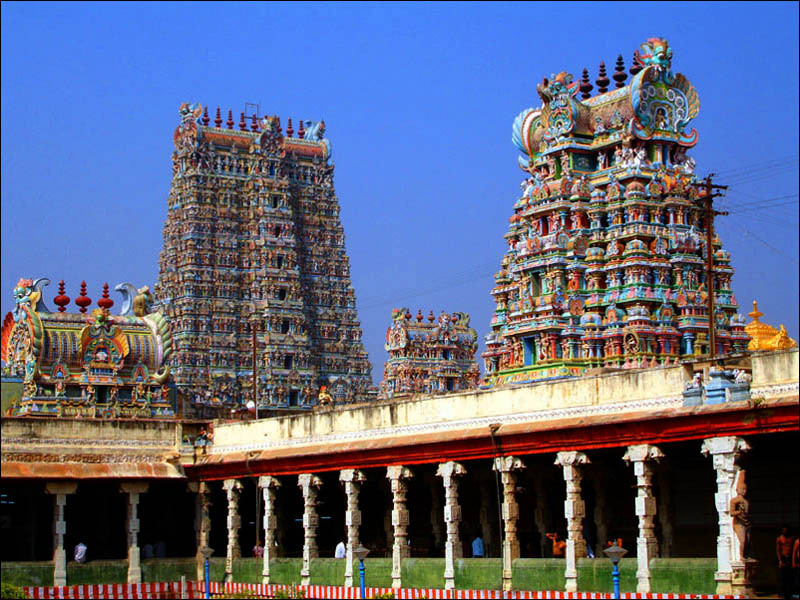 Meenakshi Amman Temple is located on the southern bank of the vaigai river in the temple city of Madurai,Tamil nadu,India.It is dedicated to parvathi known as meenakshi and her consort,Shiva here named sundareswarar.This Temple is a Historic Hindu temple. The presiding Lord of this sacred shrine was in the times of yore known as Chockanathar, and Chockalinga Perumal.The original temple was built by Kulasekara Pandya, but the entire credit for making the temple as splendid as it is today goes to the Nayaks.The Nayaks ruled Madurai from the 16th to the 18th century and left a majestic imprint of their rule in the "Meenakshi - Sundareswarar Temple".The temple complex is within a high-walled enclosure, at the core of which are the two sanctums for meenakshi and Sundareshwara, surrounded by a number of smaller shrinesand grand pillared halls. Especially impressive are the 12 gopuras. Their soaring towers rise from solid granite bases,and are covered with stucco figures of dieties, mythical animals and monsters painted in vivid colours. \"KANCHI KAMAKSHI AMBAL DEVASTHANAM New No. 6, Ol..